Going to a vintage festival or planning a trip? Rent a car to enjoy the landscape and the travel! 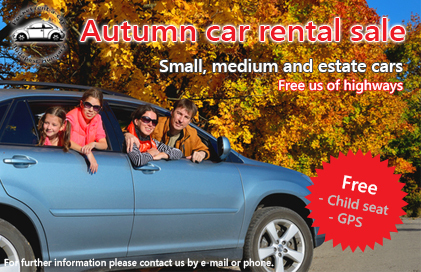 We give the GPS and child seats free of charge, subject to availability. The promotion runs from September 10, 2015 to October 10, 2015. All discounts are subject to availability and Terms&Conditions. The price includes highway-use and non-stop assistance.